It was my pleasure and honor to create a wedding cake this past week for my brother-in-law and his bride-to-be. After years of watching my mother bake, decorate and construct wedding cake after wedding cake, I took to heart what I had been taught by her. It also helped that I had an amazing friend, who is a fantastic and esteemed pastry chef, give me tips and guidance right before the big day. 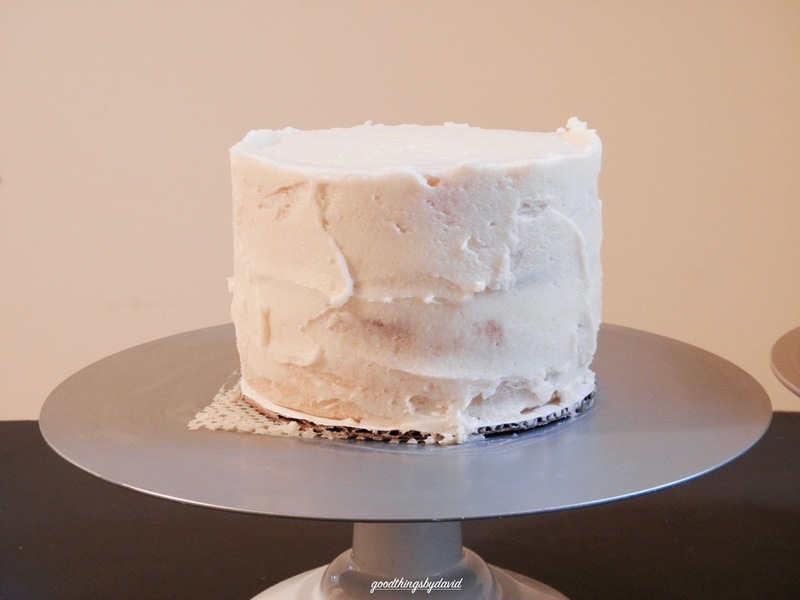 White cake layers were baked in advance, and batches of Swiss meringue buttercream were made with the best butter and eggs available. All that was left was the trimming of the cakes, the icing of the borders, the stacking of the layers, and attaching the finishing touches for this simple, yet utterly delicious wedding cake. If truth be told, I was actually nervous about the whole endeavor because not only was it my first wedding cake ever, but it was also a matter of transporting the entire cake across the Delaware river, an hour away from my home, in one piece. 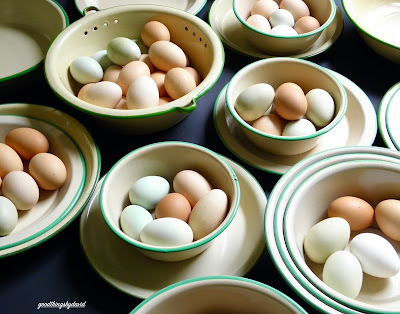 Dozens of eggs from my friend Luke's hens were collected way in advance, because I knew I was going to need them. It's so nice to be able to walk to his farm down the road from our home to do this. Thanks Luke! 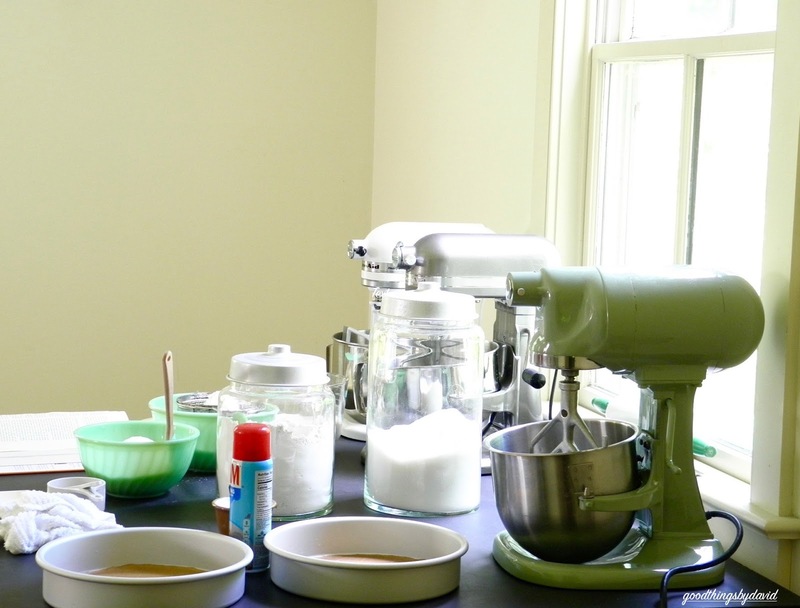 My KitchenAid and Hobart mixers were at the ready on my large countertop. Jars of cake flour and sugar were left out to measure what I needed, and cake pans were prepped to receive the white cake batter. 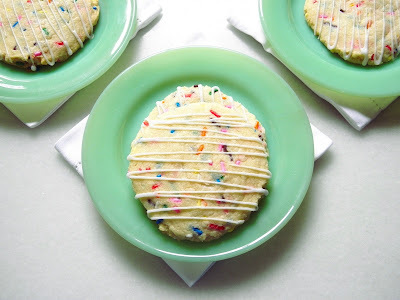 This white cake batter from Baking Illustrated is so easy to make, and it is a sure winner with anyone who has tried it. 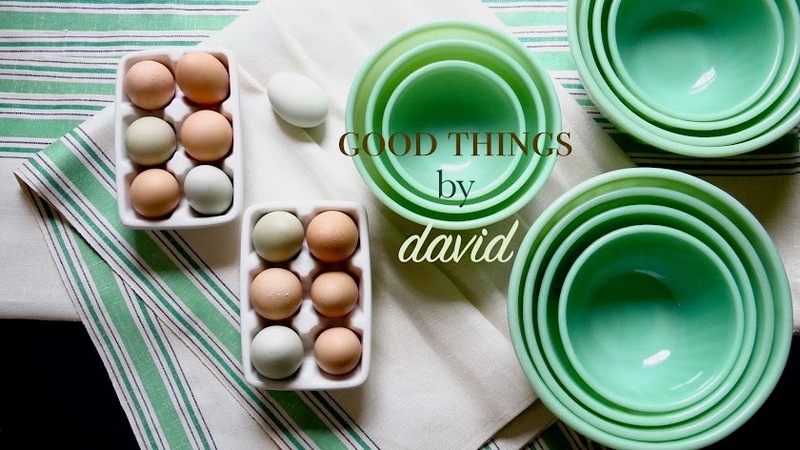 It's perfect for weddings because the recipe can easily be doubled. After trimming the baked cake layers, I piped a ring of buttercream along the bottom layer in order to contain the filling. At the request of the bride, I made a raspberry buttercream filling for each of the layers. 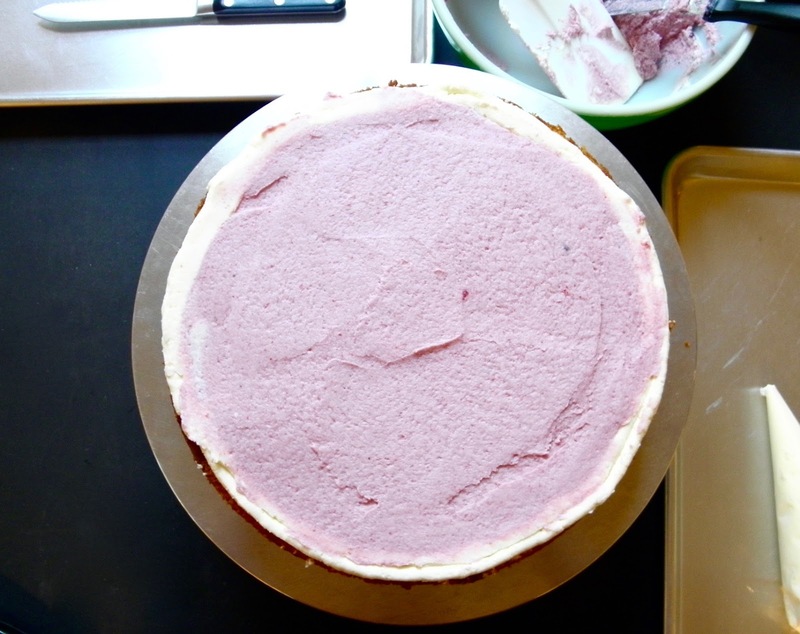 Blend the best quality raspberry jam with some meringue buttercream, and add as much as you want to each center. Smooth the tops to create even layers. 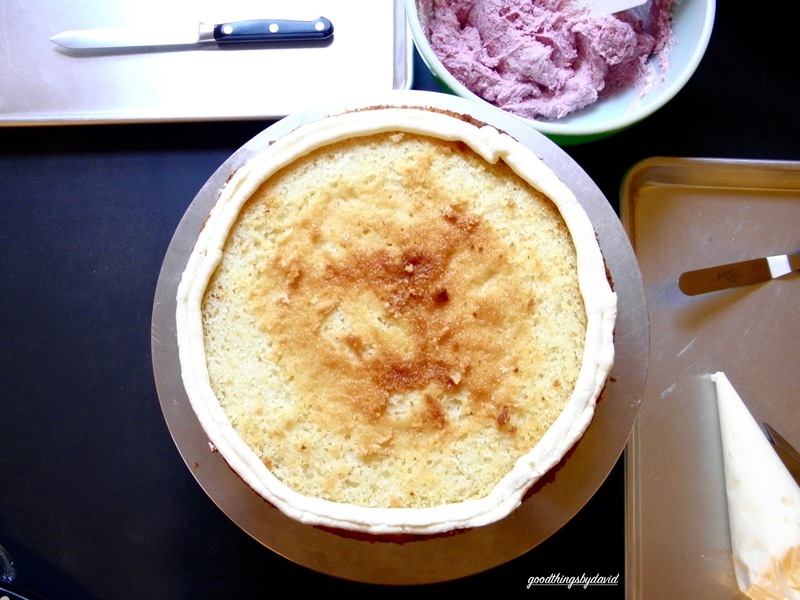 A second cake layer was carefully placed on top of the bottom layer, and each tier was given that all-too-important crumb coating. 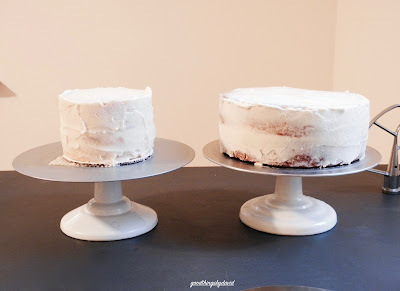 The bottom tier was a 10" round and the top tier was a 6" round. Both layers had cardboard cake rounds to support them. You don't have to be super neat applying the crumb coat, but it is imperative to get the icing and layers as straight as possible, so that the final coating of buttercream is perfect. 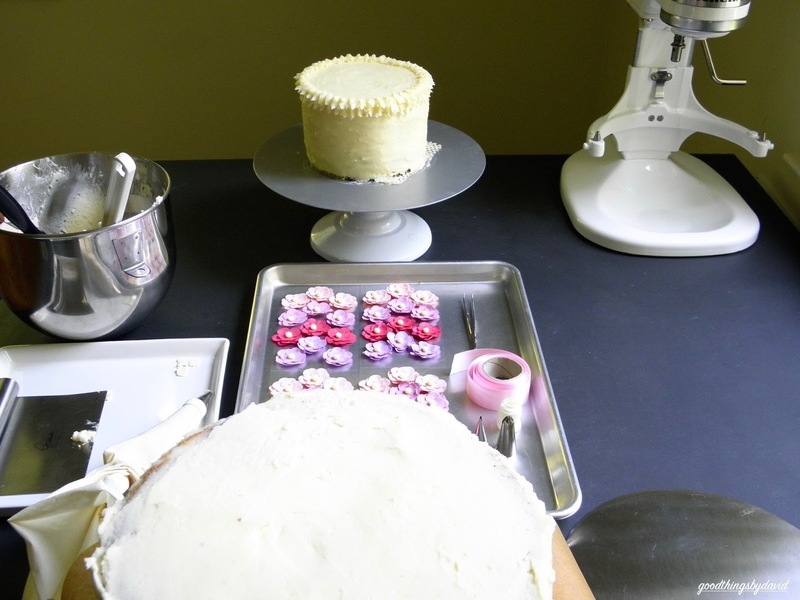 It's also important to briefly chill the crumb coated layers so that the icing sets quickly and easily. For each tier, I piped overlapping leaves with a medium-sized leaf tip. I did this for the tops of the cakes, as well as the bottoms. The latter were piped after I stacked the tiers together. 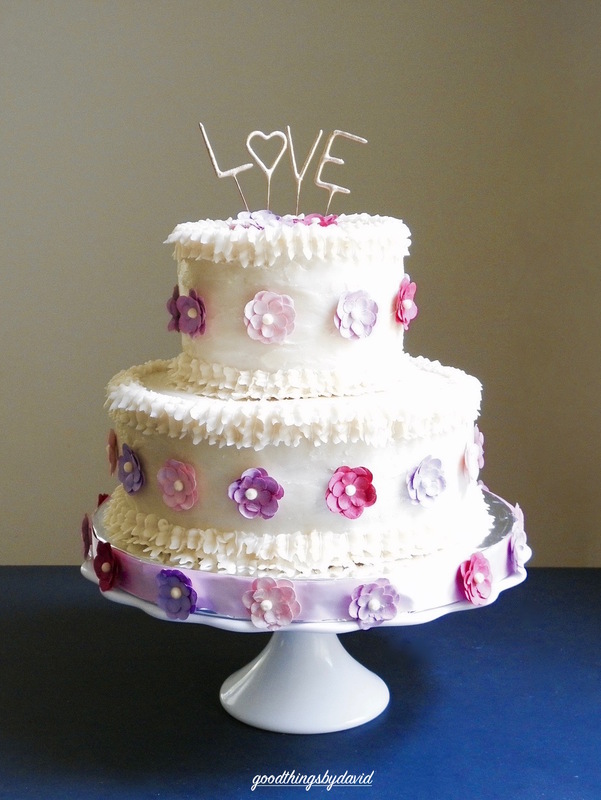 Paper flowers from Paper Source were used to decorate the cake. 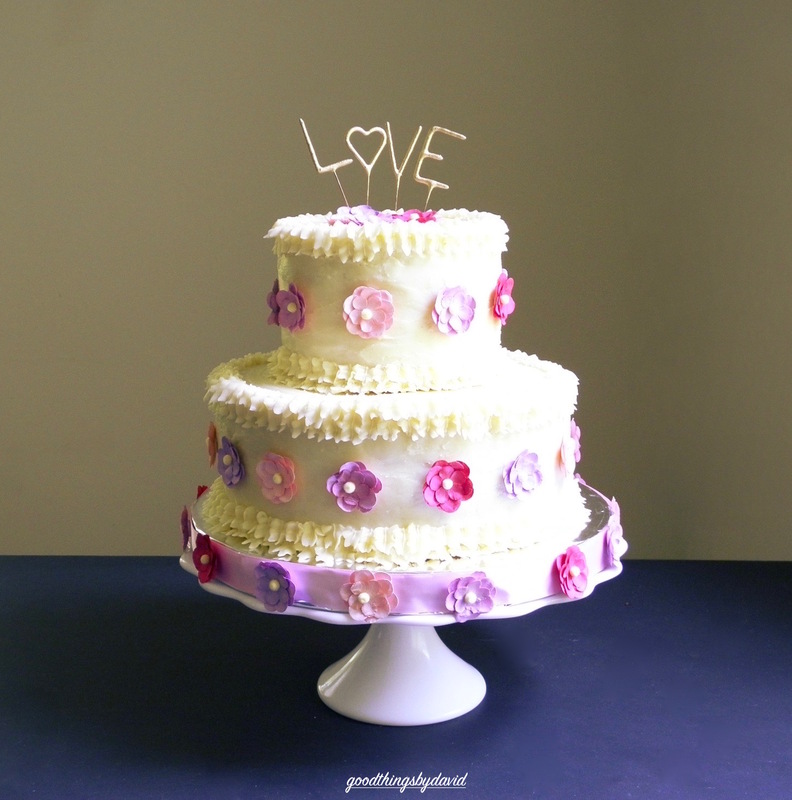 The soft pastels were perfect for such a cake. To stack the tiers: Choose a sturdy cake plate, cake stand or finished cardboard round to support and present the entire cake. Add parchment pieces along the edges to protect the stand while decorating. 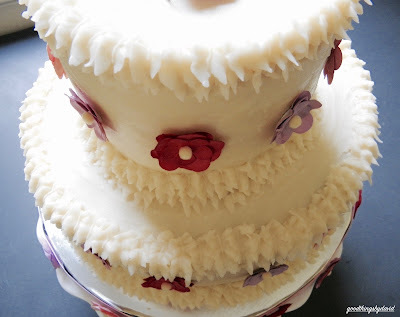 Add a small amount of buttercream to the center of the stand so that the entire cake doesn't slide off the plate, and then carefully center the bottom tier of the wedding cake. Trace a 6" round in the center of the finished 10" tier, and insert 6 trimmed straws inside this 6" circle. Make sure the straws sit flush with layers, because the top tier has to be straight and neat. 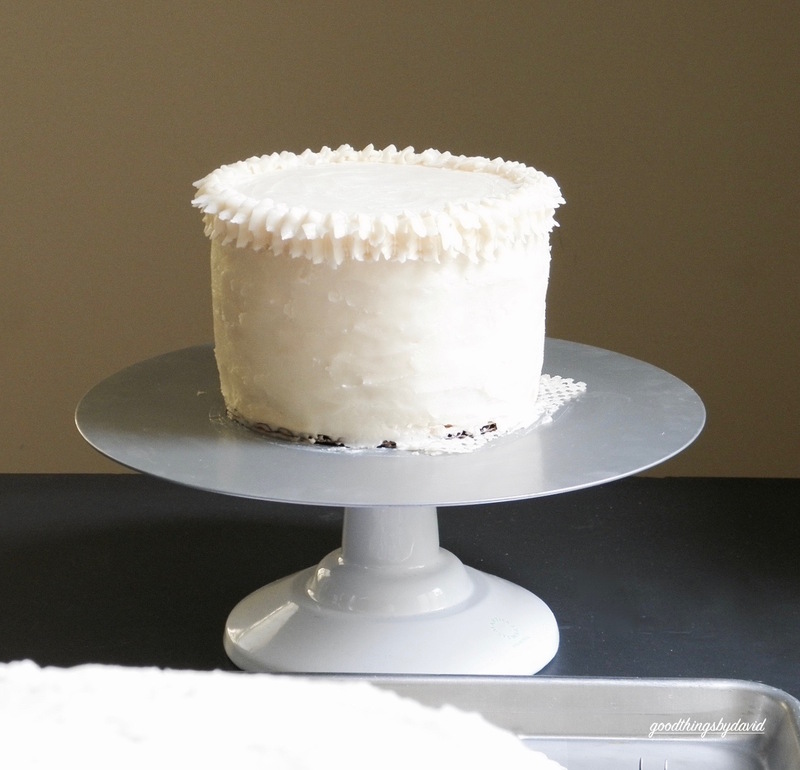 Place a 4" parchment paper round on top of the 10" tier (carefully centered), and add a small amount of buttercream to the top of the parchment round (this will help stabilize the top tier when stacked). Say a little prayer and then carefully place the 6" tier on top of the 10" tier. Voila! Chill the entire cake before proceeding with decorating it. Now you can finish decorating the cake. 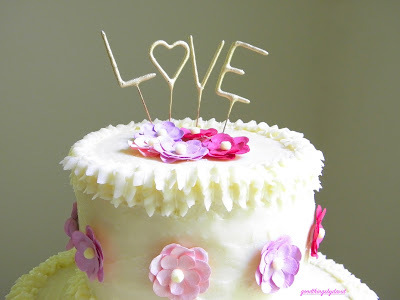 The wedding cake topper was simple. Flowers were attached evenly on the sides of both tiers. Easy! You can see the double-leaf borders of the cake. The proof of the pudding was in the eating, as they say. The bride and groom, the family and gathering of friends, all proclaimed the wedding cake delicious and beautiful. I can't tell you how much it meant to me to be able to do this for people I love. I want to wish the bride and groom many years of happiness and love! Funfetti cookies will brighten anyone's day because of their cheerful colors. 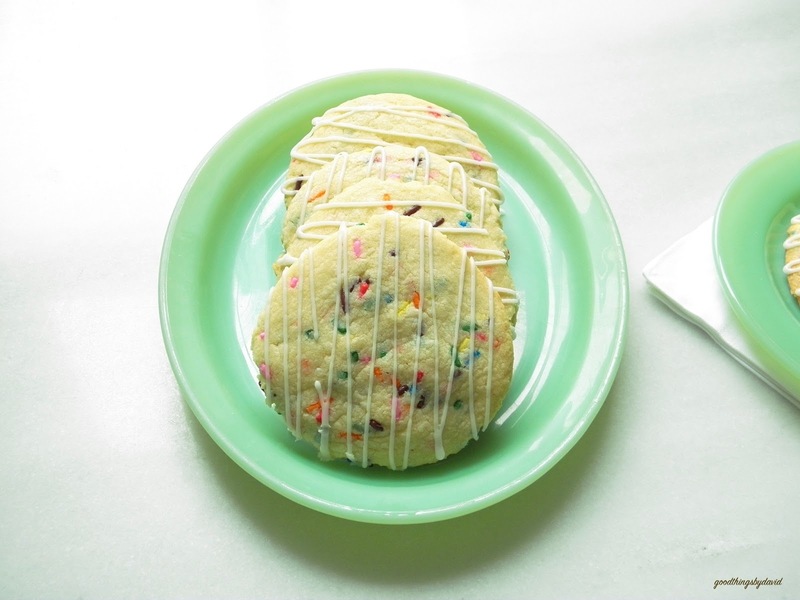 Chockfull of rainbow-colored sprinkles, these generously-proportioned sugar cookies can stand in for bake sales, family gatherings and for the cookie jar all year round. 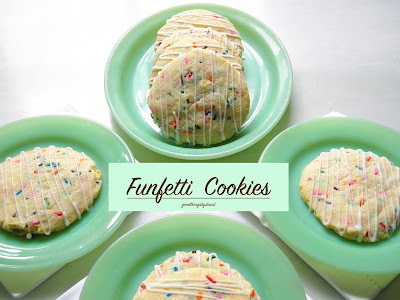 Not only do the funfettis have a good texture and great flavor, they're also very easy to make. 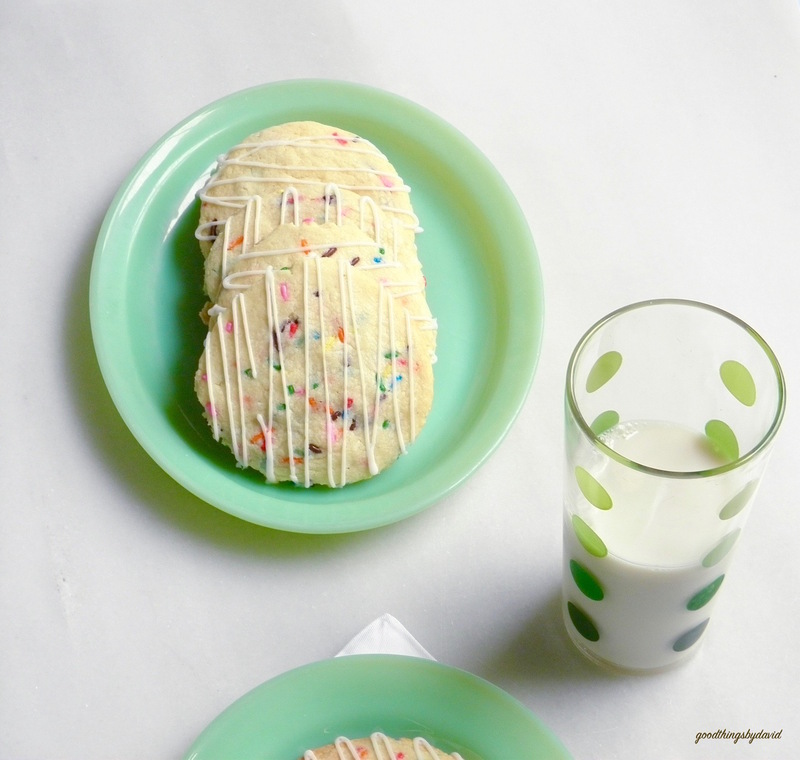 While searching for funfetti cookie recipes, I realized that I already had a perfect one on the blog from several years ago. Think of this as a reinterpretation of that recipe. The only major difference is, of course, the sprinkles. 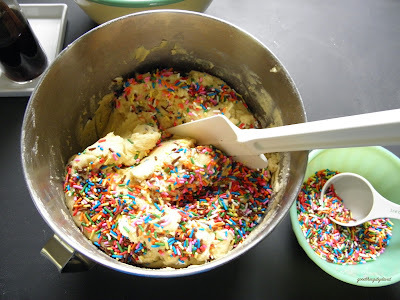 Once the cookie dough is done, I like to add the sprinkles by hand rather than letting the mixer do it. Otherwise, you may find the jimmies breaking down too much and leaving rainbow dust in the dough, rather than whole sprinkles. P.S. The recipe is easily doubled if you want to make lots of them. Once the cookies are cooled, you can drizzle a simple icing of confectioners sugar and water or confectioners sugar and milk. 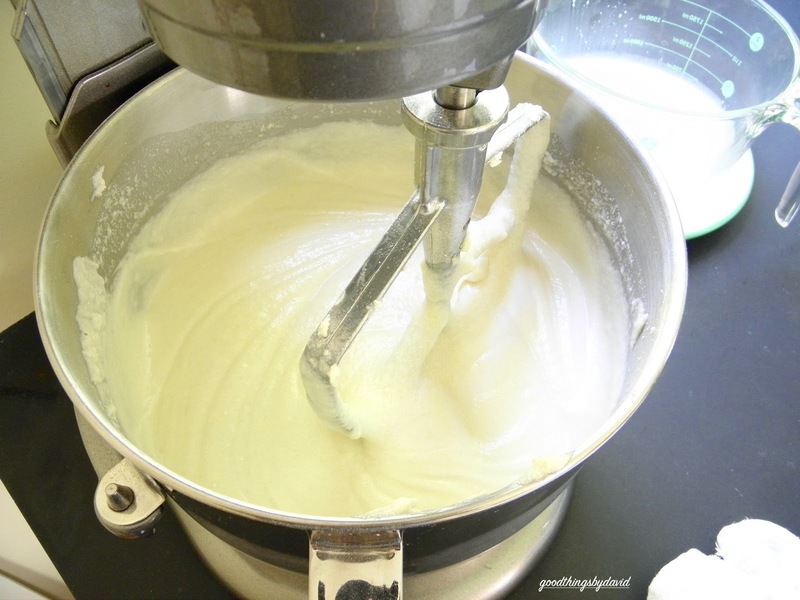 Combine the two ingredients until you have a thick, yet pourable icing. If you have icing bags or icing bottles, drizzling the cookies will go quickly. This is totally optional though. 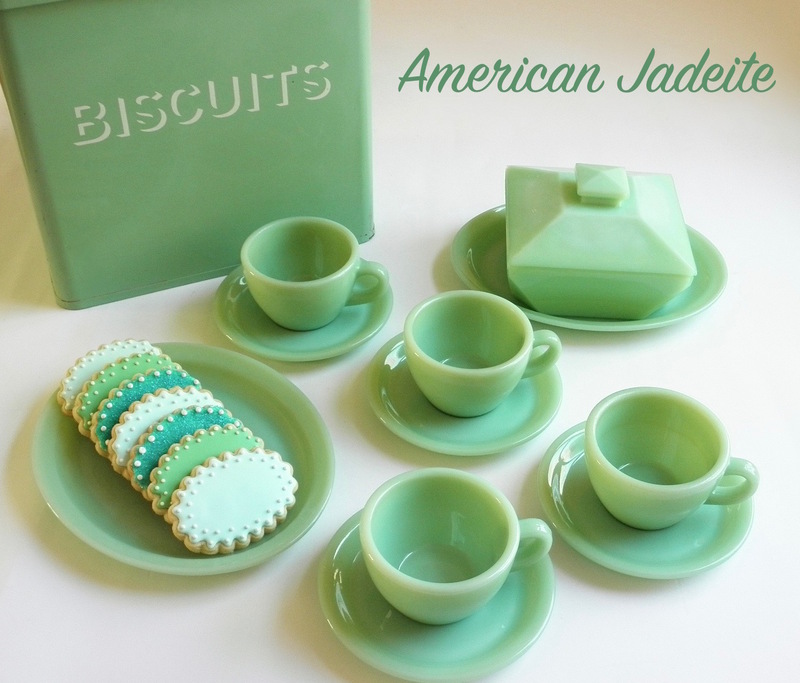 I just had to take out my jadeite and serve a few of these on them this past weekend. on a vintage Anchor Hocking green dot glass. Delicious! Remember this funfetti cookie recipe the next time you want an easy cookie for a birthday party or for a family gathering. If you happen to have colorful plates, so much the better for serving funfetti cookies on them. 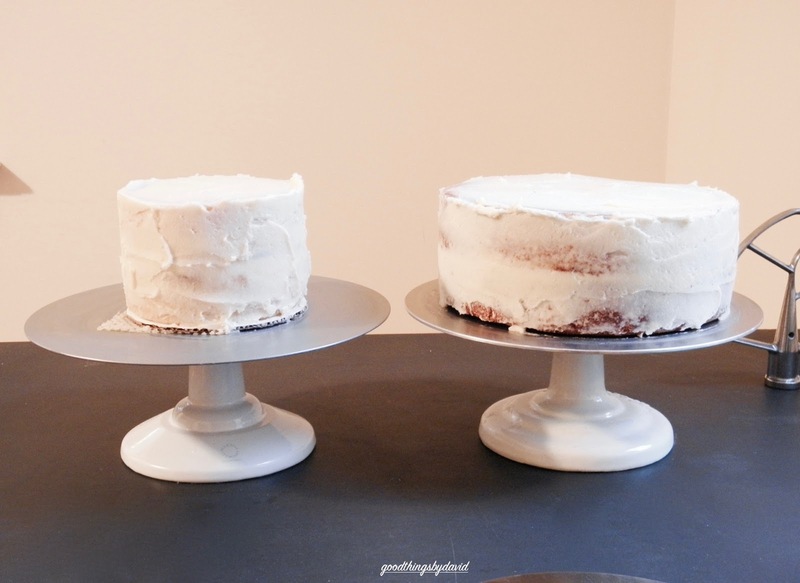 All white platters or cake stands also work wonderfully. Kids won't be able to resist these cookies, but I also suspect that the adults will have a hard time refusing one. 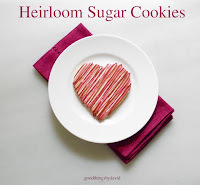 One cookie is just enough to satisfy that midday sugar craving, but if you decide to have two of them, indulge.